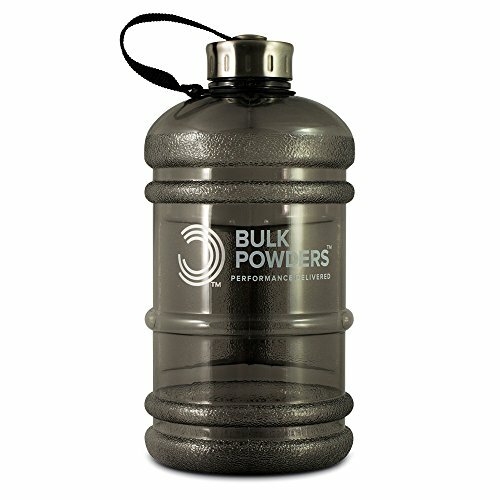 BULK POWDERS Half Gallon Water Bottle is made for absolute convenience to ensure you consume your fluid intake throughout the day and during training. The BULK POWDERS Half Gallon Water Bottle can hold up to 2.2 litres of water and is super easy to transport around with you. 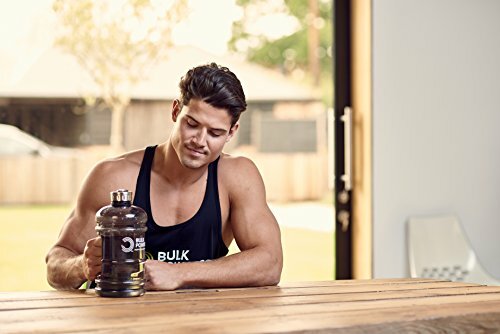 Perfect for the gym, long treks, or just everyday use, it's a must have for convenient consumption of your water and aminos throughout the day and is complete with the BULK POWDERS logo on the side and matching colour lid. 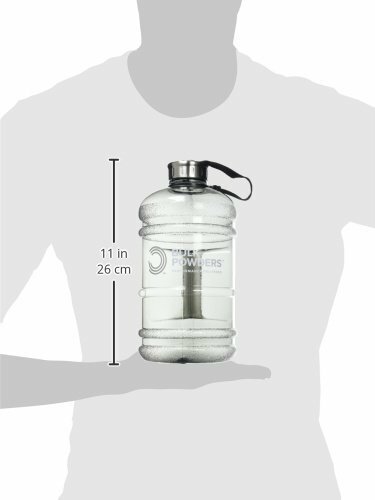 The bottle has a stainless steel screw-on cap and comes with a sturdy nylon carrying strap making it easy to transport around with you. The uniquely engineered cap also prevents any leakage when carrying your liquids. Like all our other bottles and shakers, the plastic is BPA-free.